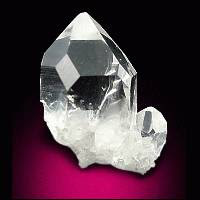 Quartz is the most common mineral found on the surface of the Earth. A significant component of many igneous, metamorphic and sedimentary rocks, this natural form of silicon dioxide is found in an impressive range of varieties and colors. There are many names for different varieties: Crypto-crystalline varieties of Quartz are called Chalcedony and include the Agate family. 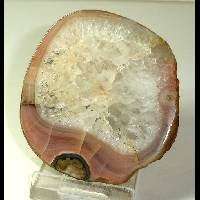 Quartz can also be found in other forms such as Petrified Wood and Jasper. Color...Colorless, Purple, Rose, Black, Yellow, Brown, Green, Orange, etc. 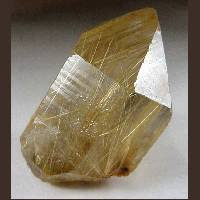 Prasiolite, Tigers Eye, Citrine and Onyx are also forms of Quartz. 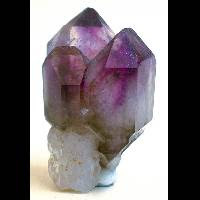 Pure quartz is colorless or white; colored varieties include rose quartz, amethyst, smoky quartz, milky quartz, and others. 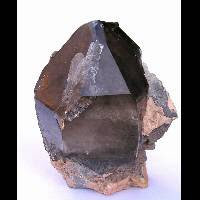 The most important distinction between the types of quartz is that of macro-crystalline (individual crystals visible to the unaided eye) and the crypto-crystalline varieties (aggregates of crystals visible only under high magnification). 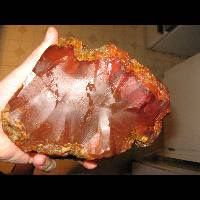 Chalcedony is a generic term for crypto-crystalline quartz. The crypto-crystalline varieties are either translucent or mostly opaque, while the transparent varieties tend to be macro-crystalline. 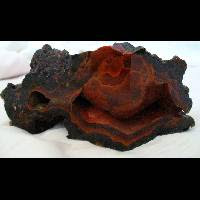 Although many of the varietal names historically arose from the color of the mineral, current scientific naming schemes refer primarily to the microstructure of the mineral. 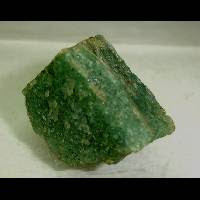 Color is a secondary identifier for the crypto-crystalline minerals, although it is a primary identifier for the macro-crystalline varieties. However this does not always hold true.